Are we being ripped off if VAT-free ‘children’s’ clothing only goes up to age 12? WHEN your children are babies, or pre-school, it feels like they cost more money than you could ever earn. Nappies, special food, prams, cots, car seats, milk, clothes that they grow out of in a week and then perhaps nursery fees that cripple the family budget – even though childcare staff are among some of the lowest paid workers. You know that when they come out of nappies, or start school, the bills should reduce, shouldn’t they? School uniform is an expensive business, even when you don’t have to buy for three (or in our case, four from September). But at least we are told children’s clothes aren’t subject to 20 per cent VAT. But what constitutes children’s clothes? Under 14, apparently. Our eldest is 14, his brother just about to turn 13. Still children, right? Not when it comes to clothing I’m afraid. 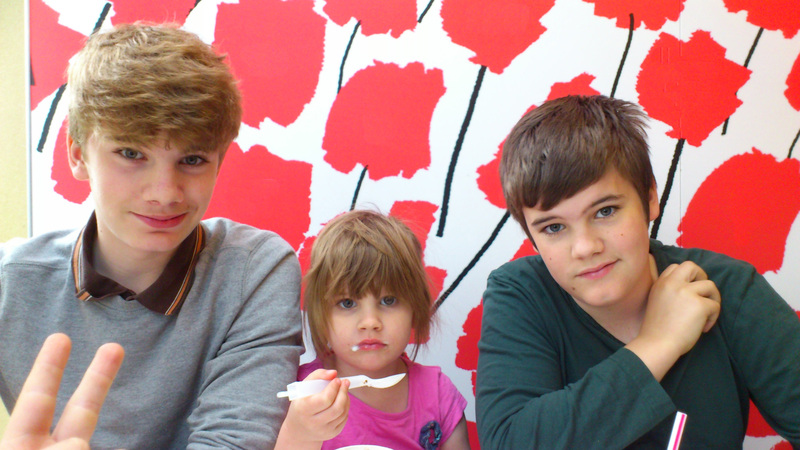 My kids aren’t enormous, pretty average in height, but the eldest both measure in at size 14-15. Many of their friends their age have been six-foot tall for some time already, and they aren’t even 15 yet. Their parents will already have been doing what we are now having to do: buy them clothes and shoes intended for adults. 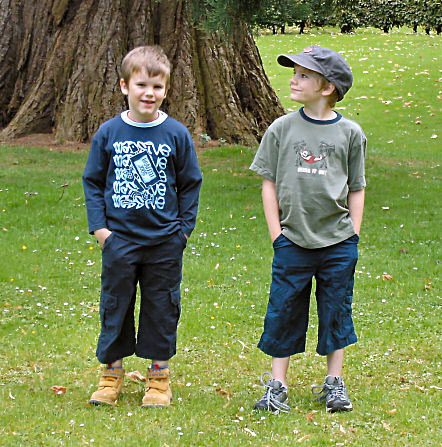 The choice of clothes for boys aged 11-16 is very limited. Unlike girls, who seem to have racks of options, few clothing stores seem to cater for teen boys, which seems bonkers to me when they are more fashion conscious than ever before. They are also having frequent growth spurts not seen since they were newborns, and seem to need new trousers and shoes every other fortnight. Why are the retailers so terrible at catering for them? Surprisingly, Next is rubbish for boys over 10, as are M&S, BHS, TK Maxx, John Lewis, Matalan, Debenhams, Primark, New Look and the supermarkets. H&M are one of the few places I don’t have a fight on my hands when shopping, but they aren’t well stocked or cheap. As for shoes, they both have bigger feet than me and I have to now pay adult prices for adult-sized shoes (although half-decent children’s shoes are sometimes more expensive than adults’ anyway). Adult clothes don’t quite fit either. The legs are too long, the tops too baggy, but it’s all we can get. So who is getting the benefit of this zero VAT? Someone’s missing a trick. Our kids have always had to put up with hand-me-downs, except Jed as the eldest, but even he has to wear second-hand now. Don’t tell him, but I’ve found that I’ve shrunk so many items of Bloke’s clothes they now fit his sons. Thankfully, for the kids, he’s not quite got to the elasticated trouser and cardigan stage yet. WE’RE meant to be shopping for school uniform. I’m leafing through the endless racks of black trousers in BHS when I realise I’m talking to myself. Two of the boys are across the shop wrestling over a tape measure while another and his sister have managed to climb on top of a Thomas the Tank Engine toddler ride in which they’ve already lost 50p. Their coats and bags are strewn across the floor which other shoppers are having to step over. I shout. It’s all rather embarrassing. One of the boys is ordered into the changing room laden with eight pairs of trousers in differing sizes, some of which are unhelpfully security tagged together in pairs, so when he emerges to show if a pair fits, he’s dragging its twin along like a bedraggled, dusty tail. None of them fit properly. The shop assistant stares, unhelpfully, as I try to fold them back onto their hangers. While another son grumpily enters the changing room, daughter decides she’s going to take every adult shoe off the rack and try them on. When this game is stopped she starts the wailing and flopping routine, refusing to walk or be carried. Son emerges having decided the first pair of trousers he’s tried are fine and throws them into the basket. I look at the label: £16 for one pair. I send him back in with a £7 pair, knowing I’ll be spending most of the year sewing up hems and gussets wrecked by breaktime football. They fit. We buy two pairs. Then two more, cheaper, in M&S. Here we go again then, one week to go before they’re back at school and the hell of uniform shopping is firmly upon us. With three offspring in school, two of whom seem to grow every time they leave a room, it’s an expensive time of year – especially if you’ve just reduced your working hours for the holidays. I think this September’s uniform will have cost me over £300. And I’m a make-do-and-hand-me-down-bargain kinda mum. It’s not just the cost, it’s the stress. I know you’ll tell me it would be a trillion times worse if I had three girls, but let me assure you, traipsing around the shops with bored and grumpy boys isn’t fun either. I’d hoped that Dougie’s compulsory school uniform would last more than a year. It hasn’t. His blazer has a weird bleach mark across it, his tie is mutilated, his PE kit is either lost or too small. Along with Jed’s new kit, the official stuff is going to cost the best part of £200 when the shop opens this week. Shirts are easier. Multipacks for boys are between £7-10 and Bill’s yellow polos cost a fiver for three. Job done. But then there’s the annual trouser hell. Girls seem to have lots of styles and stretchy fabrics. Boys are stuck with flat front or pleated in stiff Teflon coated fabric. Two sizes – skinny or enormous. Shoe shopping for our boys seems to have a basic formula. *repeat several times and get home empty-handed. There have been some successes. A speculative TKMaxx run stocked us with rucksacks, coats and shoes for Jed. Dougie is still shoeless and Billy’s, bought at Easter, may have to last a little longer. If you witness me having a nervous breakdown in a shoe shop later this week, keep walking, there’s nothing to see. . .